The Biogeochemical Cycles and Transfers to the Environment Theme involves ca. 110 researchers, engineers and technicians (including 45 permanent staff) in seven research teams with the aim of characterizing and quantifying biogeochemical cycles of greenhouse gases (GHG) and mass transfers inside and between environmental compartments. The purpose of these studies is to better understand and predict the evolution of these cycles related to climate change or environmental change impacts, from the global to the local scale (city, watershed). The Theme's research is based on an original continuum from observations to modeling. They involve systematic observation capabilities, including the European research infrastructure ICOS (Integrated Carbon Observing System), experimental sampling and analysis, and numerical simulation tools. The first important part of the study of biogeochemical cycles is based on an atmospheric approach. For the main long-lived GHG of human origin (CO2, CH4, N2O), a better understanding and a more precise quantification of fluxes must be based on a very high precision observatories network, as the signals related to the fluxes under investigation are very low relative to the background concentrations. The Theme has a strong recognition at global level in GHG metrology through its Atmospheric Thematic Center (ICOS-ATC) of the European ICOS research infrastructure, including a data center and a metrology laboratory. The ICOS-RAMCES team ensures France’s contribution to the European in situ GHG measurement network, with 16 stations in France and around the world to better characterize the atmospheric distribution of GHGs and improve the methodologies for observing and estimating surface fluxes at various scales based on its atmospheric measurements . The SATINV team develops and implements so-called inversion approaches to quantify sources and sinks of the three main GHG leading to the mapping of surface fluxes from these atmospheric measurements, in particular for the European Copernicus Atmosphere service. In addition, in-house expertise in space-borne measurement of GHG is used to exploit data and prepare future missions, notably the French-German MERLIN (CH4) and French MicroCarb (CO2) missions. 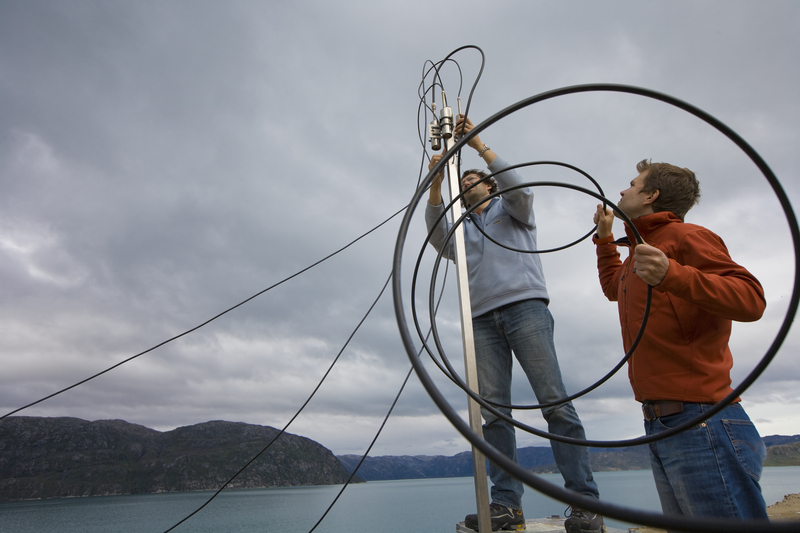 Atmospheric chemistry is also studied (CAE team) through aerosols and short-lived reactive gases, based on regional and local atmospheric measurements, from the unpolluted sub-Antarctic atmosphere to the Paris region characterized by air pollution with complex origins. This activity contributes to the ACTRIS research infrastructure. The second part focuses on a better understanding of material exchanges and lateral transfers on continental surfaces. The MOSAIC team is working on the modeling of the continental biosphere and exchanges at the surface-atmosphere interface in order to better understand the key material balance processes, with expertise on data assimilation and fusion and a tool key, the ORCHIDEE model. The GEDI team is interested in the influence of anthropogenic activities on the transfer of matter (particles, carbon and contaminants associated with particles) on continental surfaces and in the ocean using geochemical tools (stable isotopic tracers and radioactive, elementary tracers), from the local scale to the major river basins. The HYDRO team aims to model the functioning of continental hydrosystems (underground aquifers, lakes, rivers, etc.) and in particular their response to weather or climate forcing.